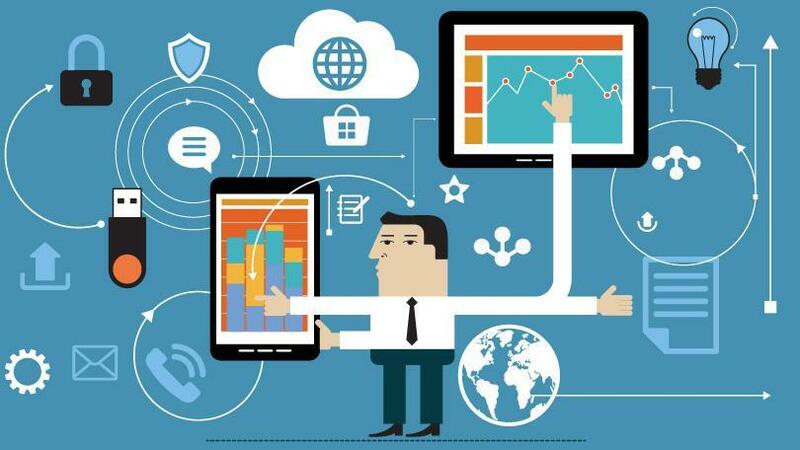 Many enterprises are grossly under-utilising the capabilities of Enterprise Mobility Management (EMM) and should look beyond smartphones and tablets to enable digital business opportunities, says Gartner. This is the finding of Gartner analyst, Manjunath Bhat, who has published the research paper, Unlock Digital Business Opportunities using EMM Capabilities. Bhat blames the history of EMM and its evolution out of Mobile Device Management as the root of the problem. I say this with great agony. 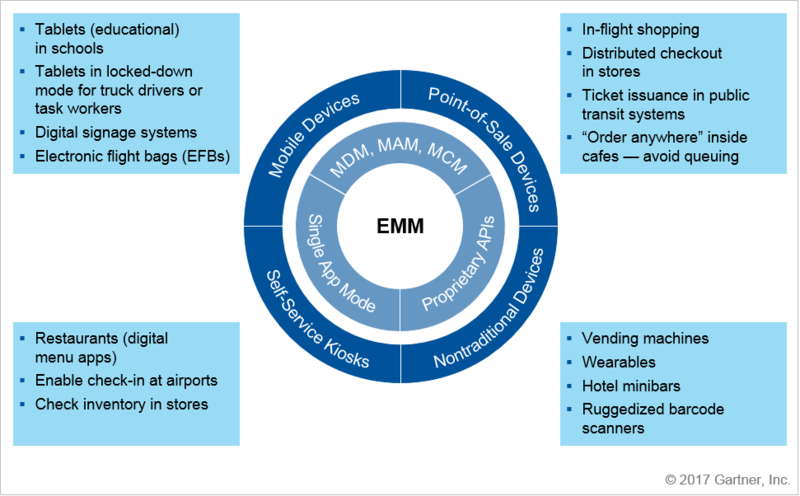 Having seen the evolution of EMM from its MDM days and its future as UEM, I personally think that the current state of EMM is unfortunately due to its origins as a device ‘management’ utility. It is one of those accidents in history where MDM shot to fame to manage the onslaught of Apple devices in the enterprise, but never went on to realize what it is actually capable of. The perception that EMM is nothing more than a tool to manage policies on mobile devices is deep-rooted in the IT psyche. I would argue that using EMM for policy management alone is akin to buying a Ferrari only to visit the local supermarket once a week. Bhat predicts that by 2019, at least 20% of organisations will use EMM tools to manage mobile devices that enable digital business, up from less than 5% today. Organisations rarely use the full suite of enterprise mobility management (EMM) capabilities in their digital business initiatives. Many organisations limit their EMM device portfolio to classic mobile devices such as smartphones and tablets. Organisations are looking for ways to better leverage the user context that mobile devices provide. The notion that EMM tools can manage only smartphones and tablets is a common misconception, says Bhat. EMM relies primarily on the APIs exposed by the underlying operating system and, therefore, can manage any device with an EMM-compatible operating system (see Figure 1). Android, Windows and iOS are the dominant mobile operating systems, but even less popular operating systems such as Tizen, Linux and QNX can be managed by EMM tools. EMM systems can now be seen managing machines that go beyond employee-owned or corporate-owned smartphones. For example, vending machines running WinCE and QNX, and payment terminals running Linux, that act as the interface between the business and the customer can now be remotely managed by EMM systems. How should enterprises invest in EMM? Use EMM tools to provide new digital experiences that go beyond smartphones and tablets. Deliver contextually relevant content to mobile users for better decision making by using the device and user context available through EMM tools. Implement additional tools such as mobile app analytics and stand-alone MAM to extend digital business initiatives beyond employees. VoicePlus offers design, implementation and ongoing management of AirWatch and Microsoft Intune platforms. In the M2M (machine to machine) space, VoicePlus works exclusively with Jasper Wireless. VoicePlus manages Coca-Cola Amatil's Jasper Control Centre which is linked to their 17,000+ vending machines across Australia. EMM can be delivered as a module of the globally-recognised Atrium Managed Mobility Service; or as a standalone product.